Gorgeous Winterwood Corner Unit! Features granite counters, hickory hardwood floors, stainless steel appliances, vaulted tongue & groove ceilings with exposed beams, quartzite entry and kitchen flooring, solid brass fixtures, dry sauna, stylish knotty alder cabinetry and trim and a covered deck right above the banks of Burgess Creek. Reconfigured to comfortably sleep 7 with a bunk room downstairs and an additional bonus room off the master bedroom. 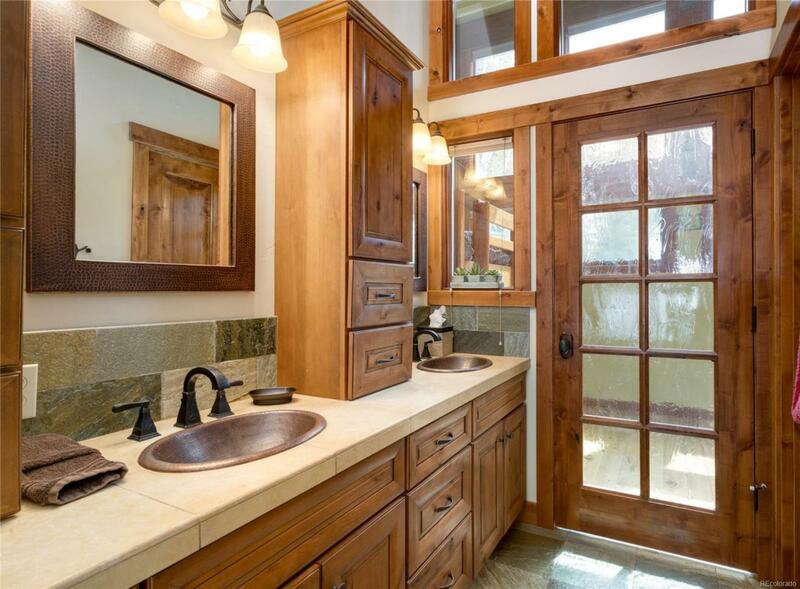 Master bath spoils with built in soft close cabinets, his and hers hammered copper sinks and steam shower. 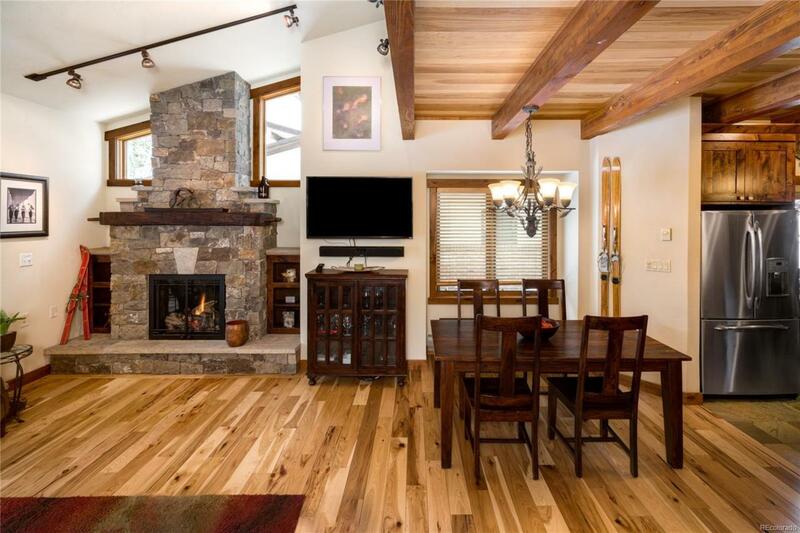 Cozy up in front of the fireplace which finished with dry stacked stone and beautiful driftwood mantel. 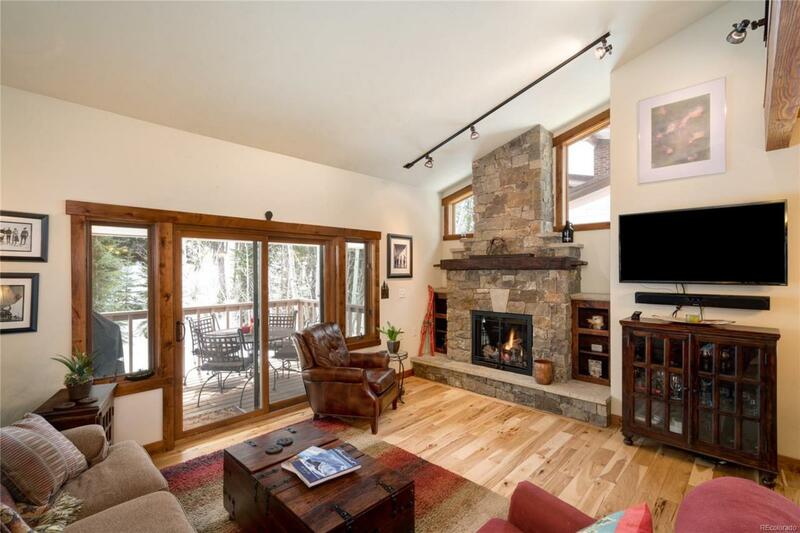 Only a few short steps from Thunderhead chair lift and Steamboat's world class skiing! Also complimented by full size washer and dryer, On-demand Rinnai R-85 water heater and new tripple-pane Weathershield windows. 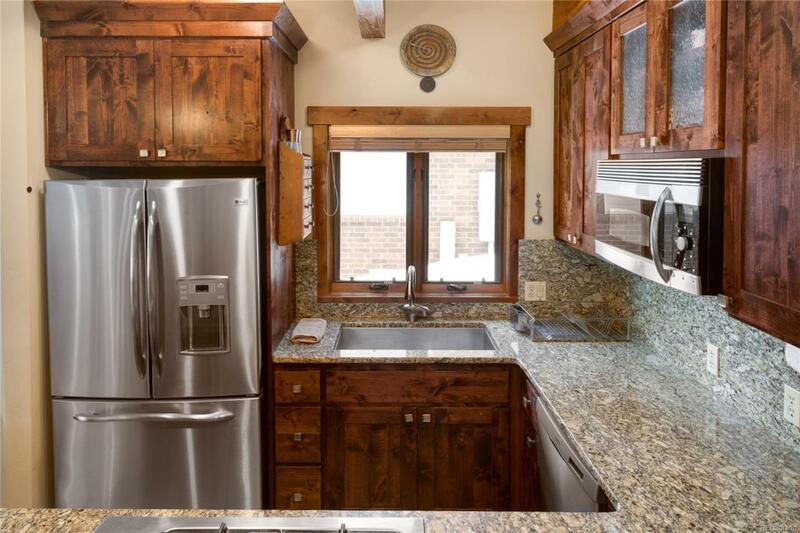 Sold with mountain rustic furnishings, dcor and everything you need for an amazing home in the heart of the Rockies!